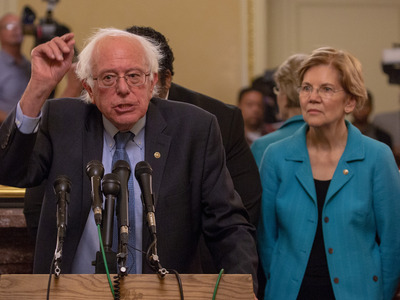 Getty/Tasos KatopodisSenators Bernie Sanders and Elizabeth Warren. Senators Bernie Sanders and Elizabeth Warren have sent a letter to Amazon, asking the company to explain the “potentially illegal” activity showcased in a video the company reportedly shows to management, the Washington Post reported. The letter comes after Sanders fought a different battle with Amazon over wages. Amazon recently raised its starting wages to $US15 an hour. Senators Bernie Sanders and Elizabeth Warren want answers from Amazon. The pair has drafted an official letter to Amazon, inquiring about a video about union activity that is reportedly being shown to Whole Foods managers, according to the Washington Post. “We write to express our alarm at recent reports that your company is distributing anti-union materials to Whole Foods managers that directs and encourages potentially illegal interference with the rights of thousands of workers,” Sanders and Warren wrote in the letter, the Post reports. The senators are demanding a copy of the video and details about how it is distributed and to whom. The video laid out the consequences that the company would suffer if employees attempted to form a union. Legal experts aren’t sure whether the video’s contents, which were first reported by Gizmodo, constitute illegal action, the Post reported. “We have received the letter from Senator Sanders and Senator Warren, and will be responding to them directly,” an Amazon spokesperson said in a statement to Business Insider. Separately, Warren and Sanders are waging their own wars against Amazon. 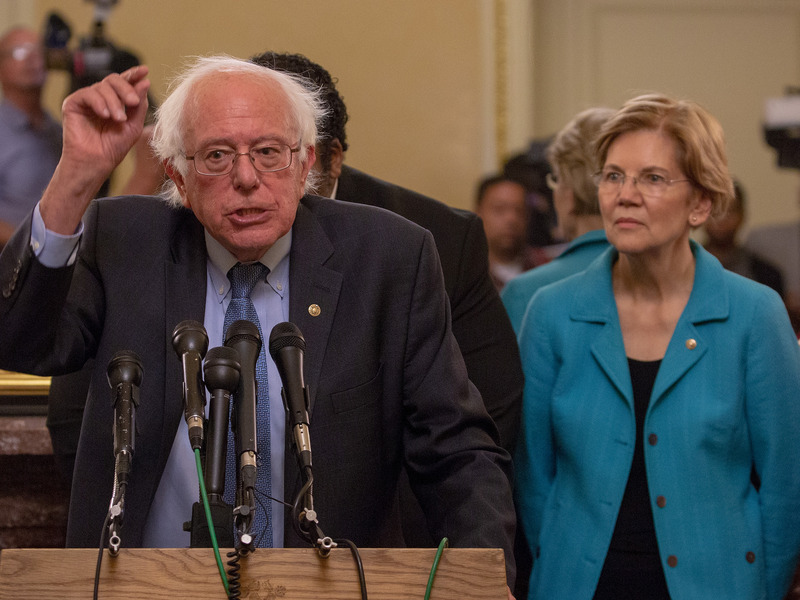 Warren has laid out her concerns that its private-label and marketplace businesses are anti-competitive, while Sanders has criticised the company’s pay practices. Amazon recently raised its starting wage to $US15 an hour for all employees. Warren and Sanders address those raises in their letter. “It is important to recognise that workers’ rights do not stop at the minimum wage, and raising the pay of your lowest-paid workers, while important, does not give you a free pass to engage in potentially illegal anti-union behaviour,” the letter reads.